Goodreads appetizer: The girl with straight As, designer clothes and the perfect life-that's who people expect Rachel Young to be. So the private-school junior keeps secrets from her wealthy parents and overbearing brothers...and she's just added two more to the list. One involves racing strangers down dark country roads in her Mustang GT. The other? Seventeen-year-old Isaiah Walker-a guy she has no business even talking to. But when the foster kid with the tattoos and intense gray eyes comes to her rescue, she can't get him out of her mind. I don't know exactly what is that distinct quality that makes Katie McGarry's stories such a success. Oh, there are plenty of reasons people love her books, be sure about that, but I still can't pinpoint exactly what it is that makes my heart break each time I read one of her stories. At times I think it's the characters and how well written and real they are that make me fall in love with them. But it's not just that. All of McGarry's characters have such a troubled past and present that you can nothing else but care about them. It's like somehow the author is giving voice and hope to all those teens out there that feel like the world is up against them. And she's doing it in the most impressive way! 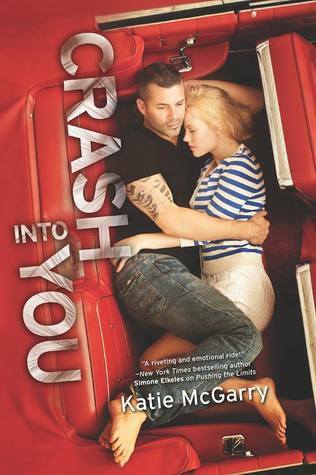 Needless to say, I loved Crash Into You! Maybe not so much as the previous two books in the series, but still, I enjoyed every single minute of reading Isaiah's story. You see Isaiah was by far my favorite character of the trio. Maybe because he was always feeling like no one ever cared for him, I don't know, all I know is that I had a soft spot for Isaiah from the very first book. And his story didn't disappoint me. Surely, it could have been a little bit better. 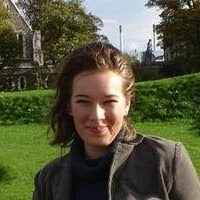 After all, we're talking about a story written by Katie McGarry here and she has already proved that she can do much better than really good. She can do perfect! And if it wasn't for how quickly Isaiah fell in love with Rachel you might never hear a simple complain from me. Anyway, I won't go into details about the plot of Crash Into You. If you have read the previous two books in the series you already know what to expect more or less. And that is a riveting story about two so very different people who are so broken inside but still have the strength to love and move on with their lives and finally emerge stronger from any difficulties they meet along their way. So no, I won't tell anything about the plot other than it is very well written and will keep you on your toes the whole time. The chemistry between Isaiah and Rachel is sizzling even if their relationship progressed a little bit quicker than I would have liked while the characters are yet again the strongest part of the book. And not just the main ones. No, the brilliance of Katie McGarry's writing is that she can easily and just as well explore her secondary characters along with the main ones. She gives voice to everyone who participates in her stories no matter how small an appearance he/she makes. Verdict: Katie McGarry delivers yet again a heart-breaking story that manages to stay with you long after you're finished reading it. Strong characters and a toe-curling romance are the best attributes of a story that manages to grab the reader's interest from the first until the last page. I just can't wait for the next book in the series to get published!